Creating an account to backup your GroLogs is simple, free and ultra-secure. Backing up and securing your data. Creating an account is essential to secure your garden data. Botana doesn't take location or personal information, so you are able to maintain privacy with your garden and your data. Complete the form and all your data will be backed up to the secure cloud. You can login to your account from any device to work with your data. Note: Depending on how much data you already have in your account, initial backup may take a few minutes. You can stay completely offline with a Guest Account. 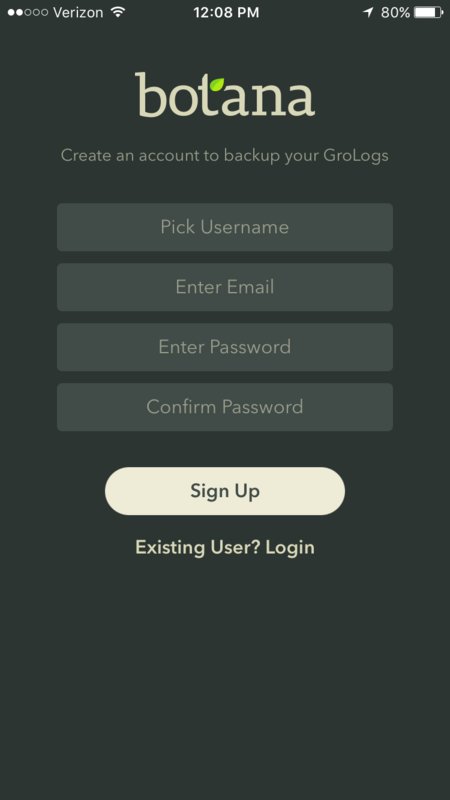 Simply don't create an account and you can manage your garden in complete isolation and anonymity. 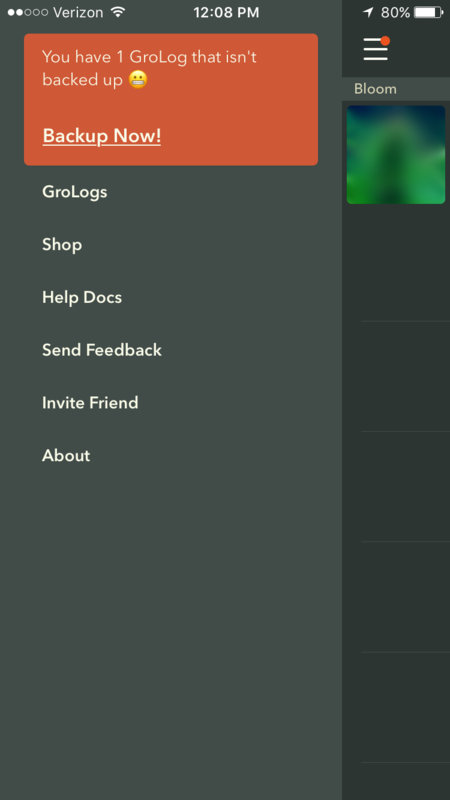 Note: If you have GroLogs created as a Guest Account, they will NOT be merged into your existing account when login. You can maintain multiple accounts on the same device. The content in one account is not accessible from other accounts.